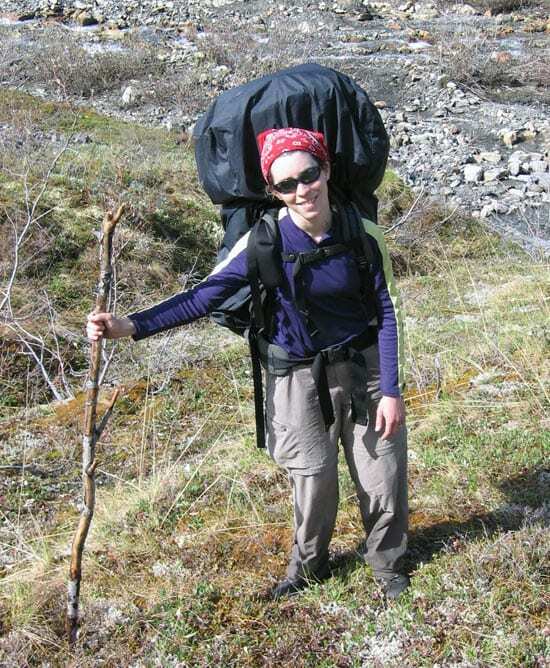 Sheri Simmons gets into the rugged wilderness as often as she can, backpacking in Newfoundland, the Sierras, the Adirondacks, and Alaska—where she once encountered a grizzly bear on a trail. She skis every chance she gets, on notoriously rough slopes (“I love tree skiing,” she said). But her research as a graduate student in the MIT/WHOI Joint Program took her to sleepy Salt Pond, in the middle of Falmouth, Mass., in a tame little rowboat, and sometimes stuck in the (marsh) mud. In this seemingly uneventful spot, she discovered a previously unknown bacterium that has turned some conventional wisdom upside down—literally. 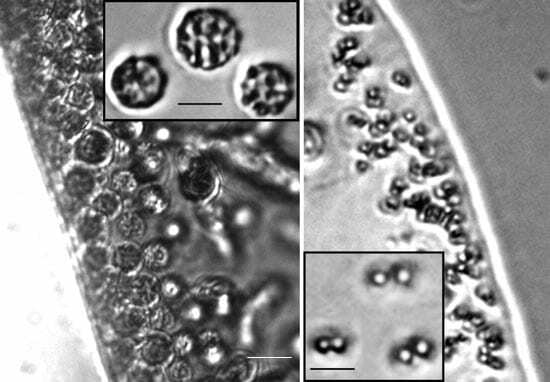 Simmons studies magnetotactic bacteria, so named because they take in iron and sulfur from their environment and make internal chains of iron minerals, magnetite (Fe3O4) and greigite (Fe3S4). That makes them magnetic. “The bacteria act like swimming compass needles,” orienting themselves to Earth’s magnetic field, Simmons said. She is interested in finding out how abundant these bacteria are, where they live, how much iron and sulfur they take up, and how they cycle these elements through the environment. The magnetotactic ability of these bacteria helps them find a niche that suits their particular chemical needs: They can’t live amid high oxygen levels. Such niches can form in places where water is not turbulent and water can settle into stable layers, each with distinct chemical make-ups that are exploited by distinct types of bacteria. Such stratified environments develop in coastal ponds, such as Salt Pond. In summer, when winds that mix the waters die down, microscopic marine plants bloom in the pond’s upper layers, which are filled with oxygen diffusing from the atmosphere. The phytoplankton die, sink, and decay, depleting oxygen in surface waters. At the same time, other bacteria convert sulfur compounds in the lower layers into sulfides, which are toxic to most life, but important raw material that magnetotactic bacteria use to make greigite. Between the upper and lower layers is a thin interface—with ample sulfides, but not too much oxygen. In this middle ground, Simmons found her as-yet unnamed bacterium. 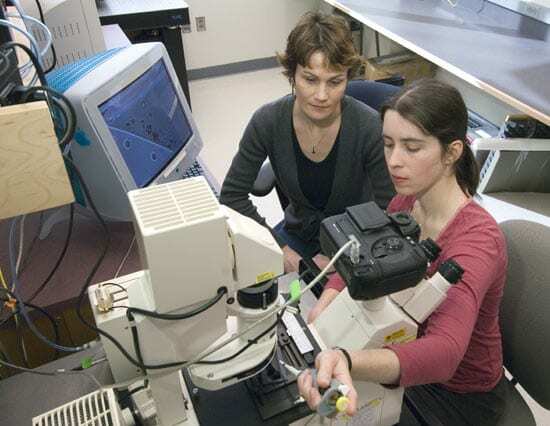 Simmons and her advisor, microbial geochemist Katrina Edwards, and their colleague, Dennis Bazylinski of Iowa State University, refer to it as the “barbell” bacterium because of its shape. Laboratory experiments have demonstrated that in the Northern Hemisphere, magnetotactic bacteria will swim toward the geomagnetic north when they find themselves in water with too much oxygen. Why? Because in the Northern Hemisphere, Earth’s magnetic field angles downward into the planet, so bacteria swimming north head down into more congenial, minimal-oxygen waters. Since the 1970s, when magnetotactic bacteria were first discovered, scientists have repeatedly found this behavior and logically assumed that all magnetotactic, oxygen-intolerant bacteria should behave this way. But when Simmons exposed the barbell bacteria she collected from Salt Pond to high-oxygen water, they swam south instead of north. Simmons was lead author of a paper describing the newfound organism, which was published Jan. 19, 2006, in the prestigious journal Science—a rare occurrence for a scientist who is still a graduate student. The discovery opens whole new lines of inquiry. Simmons received grants to pursue her research from the WHOI Ocean Life Institute, the WHOI Coastal Ocean Institute, and the WHOI Ocean Ventures Fund, which sponsors special projects by graduate students. She expects to finish her Ph.D. degree this spring. To collect samples, Simmons used a rowboat and a novel device, designed with WHOI biologist Craig Taylor and built at WHOI, that collects water samples horizontally to draw in finely stratified layers gently and separately, rather than pumping up a mixed sample of water. Back in the lab, Simmons studies the ribosomal RNA of her collected bacteria to learn more about them.